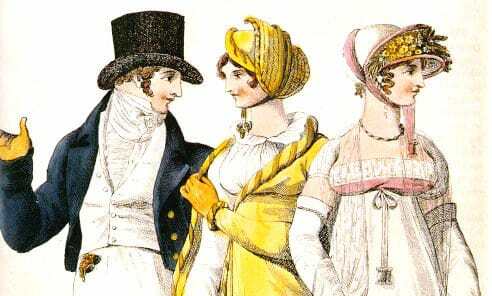 While taking a breather from writing since Love Unmasked got done, I’ve been researching the Regency era some more. I’ve been finding some great info. Among the effects of England’s foreign wars during this period were great financial instability and monetary volatility. Now this next section is eye opening. Austen would have witnessed, moreover, the beginning of industrialization in England, though the growth of the factory system would not reach its peak until the middle of the nineteenth century. Outside of the genteel world we see in Pride and Prejudice, a third of the country’s population lived on the verge of starvation, spurring food riots across the countryside. This was all glossed over in Pride and Prejudice. This unrest was compounded by Luddite protestors who attacked new industrial machinery (a practice called “machine breaking”) in demonstrations that were a precursor to labor strikes. As these demonstrations spread fear of a revolution in England, the government responded with repressive measures that sharply curtailed freedom of speech. There’s info about the military at the time. They thought there would be an impending invasion by Napoleon. But the militia in Pride and Prejudice are about attending balls, social events but nothing about learning to shoot. It really glossed over the tough things of the time. Did she do it on purpose because people needed happy things to read? a militia of officers and volunteers in the southeast coast of England (the region where Austen was from) mobilized for what was thought to be an impending invasion by Napoleon. A clear divide of the haves and the have nots. Throughout the eighteenth and nineteenth centuries, ownership of English land was concentrated in the hands of the relatively small landed classes, who retained their hold over the land through a system that encouraged the consolidation and extension of estates by enforcing strict inheritance laws. Entails of the kind referred to in the novel were established during this period in order to concentrate wealth and enlarge estates by funneling property to male children or male relatives rather than breaking it up and distributing it amongst family members. The only future for women was to marry well as in socially upward and lots of money. One way for families to rapidly accumulate capital was through advantageous marriages. As a result, the position of daughters within the family changed, as they became the means through which a family could attain greater wealth. Familial aspirations, coupled with women’s increased dependence on marriage for financial survival, made courtship a central focus of women’s lives. Women’s rights were being mentioned for the first time. Elizabeth Bennett serves as a paradigmatic example of the conflicting transformations in women’s roles that occurred in the late eighteenth century. Disinherited of her father’s property, Elizabeth is not financially independent, and in fact depends upon an advantageous marriage for her future survival. Yet throughout the novel, she asserts an intellectual and moral independence that reflects a Wollstoncraftian conception of gender politics. I feel, as an author, that I’m doing a real dis-service to the time period, glossing over what was reality and painting stories in this glorified romantic era. That’s the same with all the Regency romance books I read, there’s no hardship or if there was it’s barely mentioned or the woman escapes it. It’s a fantasy world of the Regency era, nothing like what it actually was. So am I doing a dis-service or am I doing exactly what readers want? All fluff and happy good times and leave the hardships out because we have enough trouble to deal with in our own lives?